All sandwiches are wrapped in wheat laffa bread, with mixed greens, tomato & cucumber, and red cabbage slaw, then cut in half, ready to serve. All sandwiches are topped with mixed greens, tomato & cucumber and red cabbage slaw. Lunch boxes require 4-hour notice. Minimum 10 people. Any of our signature sandwiches wrapped in wheat laffa bread, a side of cous-cous and a cookie. Minimum 10 people. 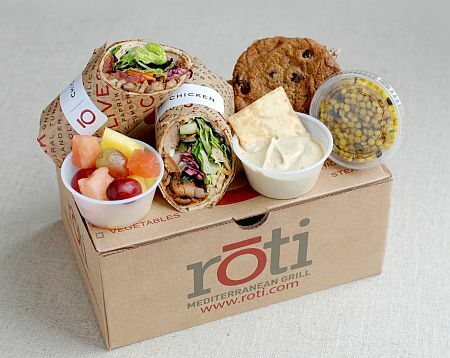 Any of our signature sandwiches wrapped in wheat laffa bread, a side of cous-cous and a cookie plus pita chips & hummus. Minimum 10 people. 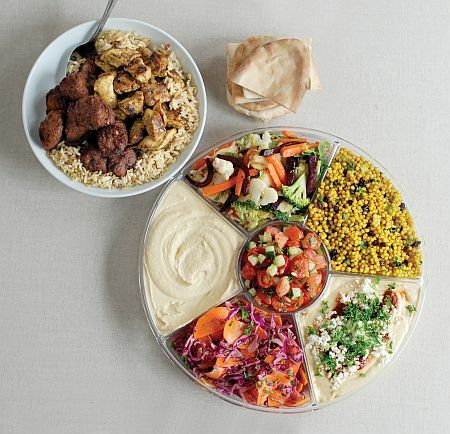 Classic sandwich box (sandwich, cous-sous, cookie, hummus & pita chips) PLUS fruit salad. 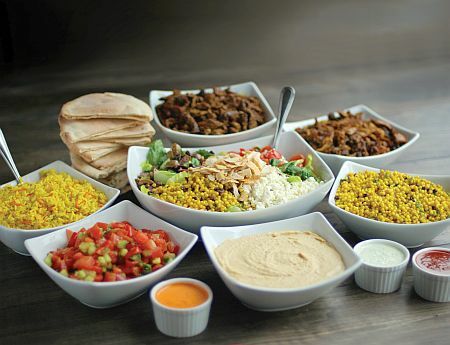 Classic hummus, spicy feta hummus, fresh vegetables, Quinoa Tabbouleh, tomato & cucumber, and cous-cous. Served with house-baked pita bread. An assortment of our decadent bars, mini cookies and baklava.